Before I scurried off to college in 2007, my skin was a mess, no lie. Acne was my worst enemy. I remember my first try at treating and hiding my acne when I was in the 7th grade and it was with the old, discontinued tinted clearasil - it was a concealer and acne med in one. What a mess that was. And that didn't work except provide some cover. Then in early high school years I, of course, started Proactiv and I will admit that within three weeks it completely cleared up my skin. I thought I had found my godsend until 3 months later, my acne had defeated the Proactiv. For the next 3 years I must have tried hundreds of different cleansers, moisturizers, benzoyl peroxide and salicylic acid products, etc. I remember at one point I had a regimen with Philosophy products that helped subdue my problem skin but didn't entirely get rid of it. I used Philosophy's Purity as a cleanser which I still rotate into my regimen to this day because of its gentleness and its unique fragrance which I like. I also used Hope in a Jar for dry skin and The Present Clear Makeup as an awesome, clean primer under makeup. These products were perfect for sensitive skin and felt so spa-like, but they still didn't do enough. It wasn't until entering college that my skin turned a little better with age and, call me crazy, [but] I truly believe the tap water improved my skin too. East Bay water treatment is apparently the best in the nation or something like that - so I suspect less chemicals and hard minerals splashing onto my face every day had some effect. Nevertheless I was still determined to find something that would completely turnaround my skin. In my last year at Berkeley, I got a job at a dermatology office and that is where I found my way to my HG. Cutting to the chase, the regimen I've finally found to heal my skin is the combination of retinaldehyde and glycolic acid. Two simple ingredients. Retinaldehyde is a form of vitamin A and a less irritating form of retinoids - i.e. tretinoin, retin-A. It practically does the same job as retinoids without any of those harsh, drying side effects. Furthermore because it is less irritating, retinaldehyde can be easily combined with other acne treatments, such as glycolic acid, an alpha-hydroxy acid (AHA). I'm sure a lot of you have heard of AHAs and that it's a natural skin exfoliator - commonly used in plenty of acne treatments, though in very small amounts. I believe finding a stronger glycolic acid product is better when you really want to see results. 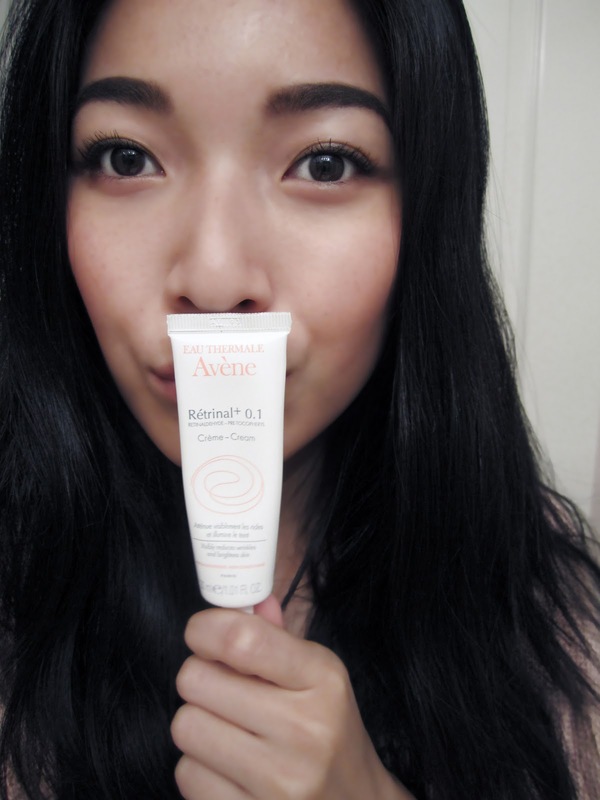 I used Avene Retrinal Plus 0.1 as the retinaldehyde and Glytone Facial Cream Step 1 for its glycolic acid (10%). I also used Glytone Mild Cream Wash, a gentle, moisturizing cleanser with 3.4% glycolic acid. I honestly never knew my skin could look the way it does now. It's not perfect yet, but it's the best it has ever been. My pores shrunk, my skin tone evened out, and most noticeably, my skin glowed. I remember looking in the mirror after the first month and was literally shocked at the moment I realized I looked different, in a good way. I used these three products day and night, seven days a week (although normally for anti-aging use, it should only be necessary about three times a week). Like I said, I saw amazing results in just one month and for the last two years, my skin never went back to its old, stubborn ways. Oh and now I actually use step 2 facial cream with 15% glycolic acid but you should always start out with step 1 at 10%. These products and their brands are highly recommended by dermatologists. They've worked for me so well; I hope you found my tips useful and if you do try it, please let me know how this works out for you! I will be posting and reviewing other skincare products I use so stay tuned ;) Thanks for reading this long one! I've heard so much praise for retinaldehyde & glycolic acid for treatments for acne. I'm dealing with a bout of stubborn acne so I'm going to give these products a go! I tried benzoyl peroxide (10%) but that gave me craaazy eczema outbreaks all over my face, no bueno! these are great tips! really like your blog, it is super cute! happy blogging! In my opinion your skin looks great now so this must be a great product, I'd love to use it but I am not sure whether or not it is available in Italy! Oh my God, your skin! You have to be the best advertisement for these products ever! I hope they are paying you. I have dealt with acne on and off for years. I am going to have to check these products out. I love Dermalogica products too! I had the same issue with Proactive. It worked great at first and then about 6 months later...it seemed like it was worst than ever! Thanks for the info! You look gorgeous! I must try! This post literally made my heart skip a beat. I'm quickly approaching my 25th year and STILL haven't found my holy grail. BUT you've given me hope. I plan on trying a few of these! Thanks! I will for sure let you know! Thank you so much for sharing. Just curious -- how did your face first react when you first started using the Glytone products? Did you encounter a "breaking in" period or did you see results immediately? About to order these! Just wondering though, do you use anything with spf or have to use extra protection when you go out in the sun, especially in the summer? Would love to know. thanks, and love your blog!